Short Sales are properties in which the owner may be current on the mortgage payments but because of market conditions the net sales price of the property will not be sufficient to pay off the entire loan obligation. 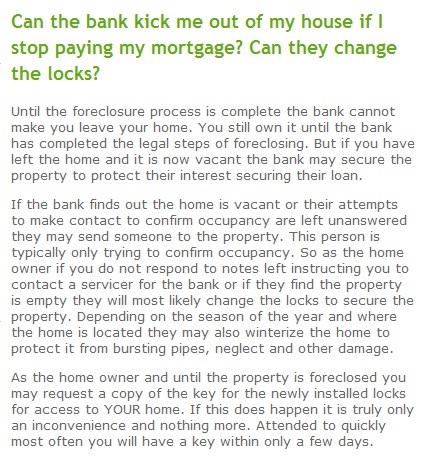 In this scenario a 3rd Party (usually the Lender (s)) must be asked to give final approval to the sale. Negotiation of short sales can often take several weeks. Can the bank kick me out of my house if I stop paying my mortgage? Can they change the locks? 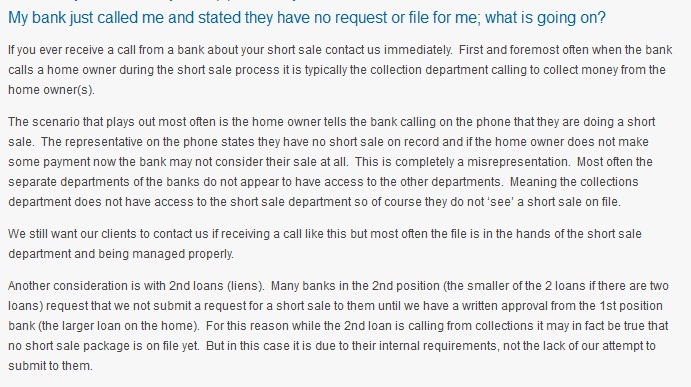 My bank just called me and stated they have no request or file for me; what is going on?